The Internet has finally succeeded where neither snow nor rain could succeed and has kept postal carriers from their appointed rounds. The United States Postal Service (USPS) has been losing money for years now as more and more people have transitioned from sending letters through the mail to using email, texting and other forms of electronic communication. It has attempted many times to reduce mail delivery to five days a week, but met resistance from Congress. That hurdle has now been cleared and beginning the week of Aug. 5, 2013, delivery of regular mail will be reduced to Monday thru Friday. Demonstrating the growing impact of online retailing, however, packages will continue to be delivered on Saturday as the USPS has seen a consistent rise in the volume of packages it is handling. This is sure to also have been contributed to by UPS' consistently raising its rates each year. In addition to package delivery continuing on Saturdays, any post office location that is currently open on the weekends will remain so after this transition. Those of you with post office boxes will also continue to receive regular mail on Saturdays. This new delivery schedule is projected to save the USPS $2 billion annually once it is implemented. At long last our weekends shall be freed from junk mail, catalogs and bills. WASHINGTON — The United States Postal Service announced plans today to transition to a new delivery schedule during the week of Aug. 5, 2013 that includes package delivery Monday through Saturday, and mail delivery Monday through Friday. The Postal Service expects to generate cost savings of approximately $2 billion annually, once the plan is fully implemented. 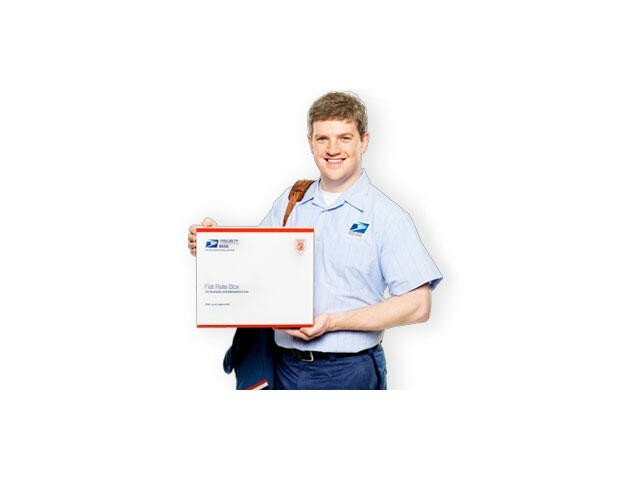 "The Postal Service is advancing an important new approach to delivery that reflects the strong growth of our package business and responds to the financial realities resulting from America's changing mailing habits," said Patrick R. Donahoe, Postmaster General and CEO. "We developed this approach by working with our customers to understand their delivery needs and by identifying creative ways to generate significant cost savings." "Our customers see strong value in the national delivery platform we provide and maintaining a six-day delivery schedule for packages is an important part of that platform," said Donahoe. "As consumers increasingly use and rely on delivery services — especially due to the rise of e-commerce — we can play an increasingly vital role as a delivery provider of choice, and as a driver of growth opportunities for America's businesses." Market research conducted by the Postal Service and independent research by major news organizations indicate that nearly seven out of ten Americans (70 percent) supported the switch to five-day delivery as a way for the Postal Service to reduce costs in its effort to return the organization to financial stability.¹ Support for this approach will likely be even higher since the Postal Service plans to maintain six-day package delivery. The Postal Service is making the announcement today, more than six months in advance of implementing five-day mail delivery schedule, to give residential and business customers time to plan and adjust. The Postal Service plans to publish specific guidance in the near future for residential and business customers about its new delivery schedule. Given the ongoing financial challenges, the Postal Service Board of Governors last month directed postal management to accelerate the restructuring of Postal Service operations in order to strengthen Postal Service finances. "The American public understands the financial challenges of the Postal Service and supports these steps as a responsible and reasonable approach to improving our financial situation," said Donahoe. "The Postal Service has a responsibility to take the steps necessary to return to long-term financial stability and ensure the continued affordability of the U.S. Mail." While the change in the delivery schedule announced today is one of the actions needed to restore the financial health of the Postal Service, legislative change is urgently needed to address matters outside the Postal Service's control. The Postal Service continues to seek legislation to provide it with greater flexibility to control costs and generate new revenue and encourages the 113th Congress to make postal reform legislation an urgent priority.